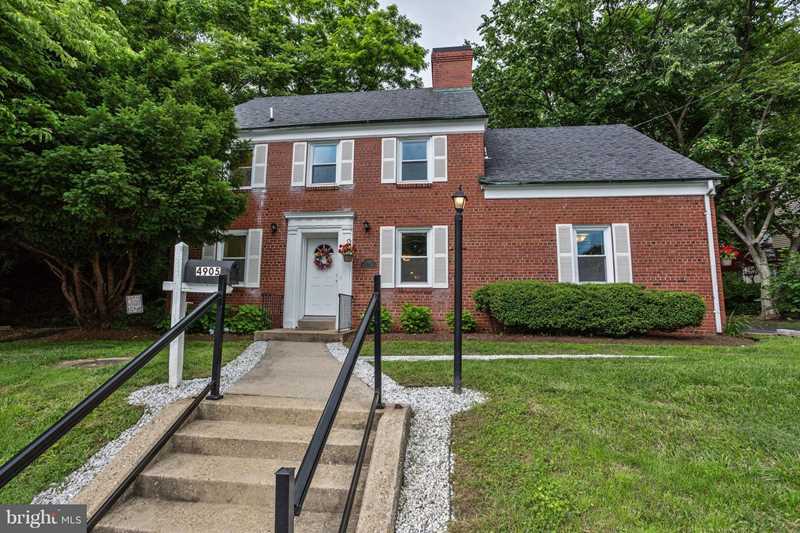 Prime location minutes from downtown Bethesda. This charming brick home has 3 BRs, 2 full BAs and 2 half BAs. Inviting kitchen has new appliances, granite countertops & a breakfast bar. Hdwd & tile flooring on main level, new carpet in bedrooms. Ample parking on circular driveway, behind home & on-street. Deck overlooks Capital Crescent Trail. Great opportunity for a home-based business! Directions:Driving South on Wisconsin Ave turn Right on Bradley. One block past Leland Street, house is on the right. Plenty of parking on the cirular driveway. SchoolsClick map icons below to view information for schools near 4905 Bradley Blvd Chevy Chase, MD 20815.